Everyone wants soft, shiny, manageable, natural looking hair and everyone thinks you need to spend a lot of money to get it looking that way. However, with a little bit of time, some ingredients you already have around your house, and a little know how you can make your own hair conditioner and get the gorgeous look you want while saving a bit of money. Why Make Your Own Hair Conditioner? The hair conditioners you find at the store are all basically the same except for a few added ingredients that either offer extra hydration, less frizz, or more moisture for your locks. However, they also contain a lot of chemicals that can actually do more harm than good. So, get the extra hydration, conditioning, fullness, or de-frizzing that you need and ingredients that are gentler on your hair by making your own hair conditioner. For extra dry hair you will want a hair conditioner that drenches your hair in hydration and moisture. The best ingredient for this hair type is mayonnaise. For a simple hydrating hair conditioner mix one cup mayonnaise, one teaspoon baby oil, one egg yolk, and one cup of plan tap water until you get a smooth paste like mixture. Then spread the conditioner on freshly washed locks and comb your hair with a wide toothed comb until all strands are evenly coated. Let the conditioner set on the hair for at least five minutes and then rinse. This conditioner will give you soft, shiny, super hydrated hair. For extra moisturising you can add one mashed avocado to the above mixture to create a super hydrating hair conditioner. 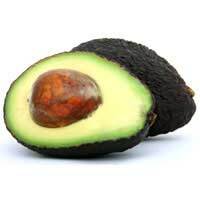 The natural oils and vitamins in the avocado will help nourish the hair strands and lock in moisture. Another great avocado based hair conditioner uses lemon juice and coconut milk to deliver great conditioning, boosted hydration, and super softness and shine. To make this hair conditioner simply mix one avocado, peeled and mashed with a fork, three tablespoons of coconut milk, and three teaspoons of lemon juice. Slather the conditioner on your hair, comb it through to coat every hair strand, wrap hair in a clean towel, and allow the mixture to set for fifteen minutes. Rinse well and style as usual. The avocado in this conditioner will add hydration and feed healthy hair strands, the coconut milk deposit natural oils on the hair strands promoting softness and manageability, and the lemon juice will boost shine. Once you find a natural hair conditioner recipe that you like you can add a few ingredients to boost its power. Five drops of a specific essential oil can take your hydrating homemade conditioner from basic to individualised. For added smoothness and reduce the symptoms of dandruff add the essential oil of rosemary. For even softer locks add lavender oil. To boost hair growth and keep hair strands strong and healthy add chamomile oil. For an invigorating conditioner that stimulates the slap and sooths an itchy scalp mix in peppermint oil. You can even add other oils just to add fragrance to the conditioner for a sensory boost during treatment. In order to get the best natural conditioning treatment for your hair type play around with the recipes and ingredients until you find the combination that works perfectly for your hair. Since these conditioners do not contain any harmful chemicals you can never damage your hair while experimenting!